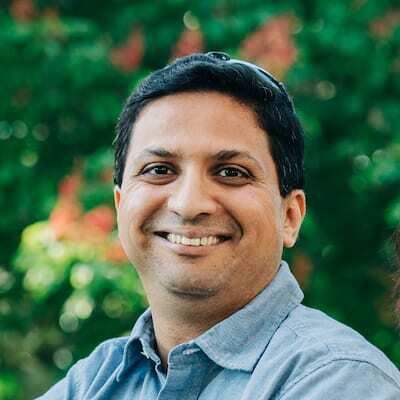 Google Desktop has been discontinued. This product is no longer available. 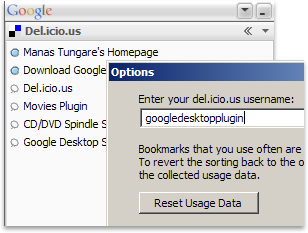 Del.icio.us bookmarks on your desktop! View your del.icio.us bookmarks and tags in the Google Sidebar. Bookmarks that you use often are automatically displayed higher in the list. (You can, of course, reset the usage data via the options dialog.) If you want certain favorites to stay at the top of list, you can 'pin' them there. Just enter your del.icio.us username. That's all there is to it. 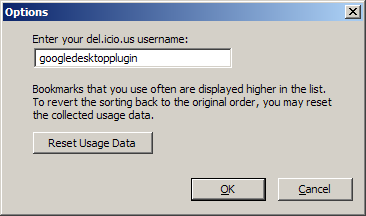 But note, del.icio.us does not make a distinction between a user that doesn't exist, and a user whose list is empty. If you're not seeing your bookmarks, re-check the username you entered. Thanks to the following contributors for their assistance in developing Delicious Bookmarks! Portuguese translation (pt_BR), courtesy Luciano Zanuz.